The Reasons Why I fell in Love with You. Hello friends, this post is going to be incredibly sappy but I have my reasons. Recently Matthew had to attend a class which had him right down three reasons why he fell in love with his SO (me). 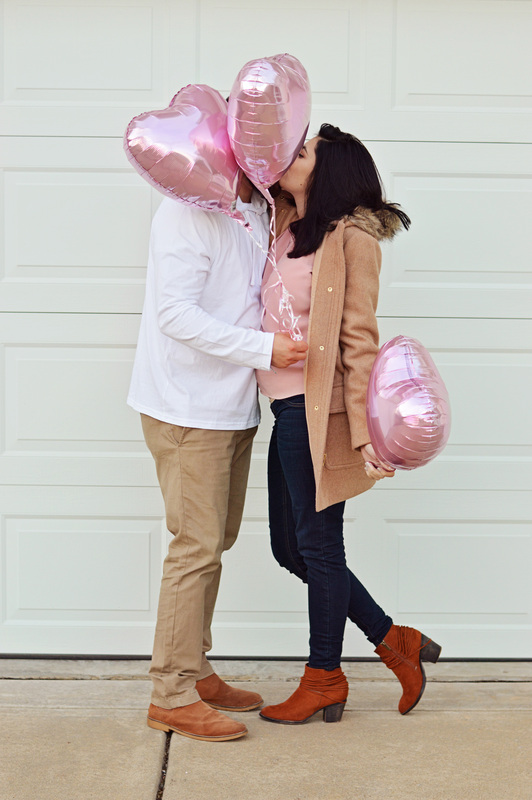 It was so incredibly sweet and heart warming that I wanted to do one of my own but of course being the over achiever I am, I came up with way more and thought I’d share them with you. 1. I fell in love with you because you are my very best friend. I can’t remember a day I haven’t talked to you, if not everyday than close to it. 2. I fell in love with how genuinely happy you make me. That smile you claim to love so much? It’s reserved for you only. 3. I fell in love with the way you love me. The way you just accepted me right off the bat, the way you just held out and waited for me to see that everything I could ever need was something I already had. 4. I fell in love with your touch. The way you ket me have my thumb on the outside because I like to rub my it against your hand, the way you grip my leg when we take a turn, the way you just laugh that I swing my arms to much when we hold hands. 5. I fell in love with the way you became home. Like you’re it for me. I knew I loved you when home went from being a place to being wherever you are. 6. I fell in love with the way you gave me that stupid nickname and still use it even though I hate it (kinda, not really) it holds a special place in my heart. 7. I fell in love with the way you endlessly inspire me day to day to be a better person. 8. I fell in love with the way I found myself praying for you every night before I go to bed, to be happier and whole and to see that everything that you are is everything I’ll ever need. 9. I fell in love with the way you look in the morning. The way you roll over half asleep and reach out for me. How you mumble ‘baby’ under your breath and crack one eye open. 10. I fell in love with the fact that everyday I find something that makes me fall in love with you again and again and again. And I could keep the list going forever if you let me. Here’s the thing this isn’t even all of the reasons I came up with. I came up with 21 reasons why I fell in love with him. Some where far to personal to share and I felt like stopping at 10 was a good number. You’re supposed to read these out loud to your significant other. So when he called me the other night to read me his three reasons I swooned. I always joke that he’s the sappy one in our relationship but really its me. I just don’t voice my adoration as often as he does so when doing this I ran with it. I have a hard time saying the right things out loud, writing them down really helps me sort my emotions out. My goal was to let him know that I really really do love him with everything that I am and I feel like I truly accomplished that in this fun little game. Hearing him laugh and his voice crack with emotion was like a job well done. I had him tearing up by the end and the funny thing is I really could have kept going. I came up with 21 reasons in under 30 minutes. Matthew asked me to hand write these down for him so he could look at them whenever he’s down or missing me when he’s gone. I think Im going to go a buy a small notebook and fill them with reasons and give it too him as an early birthday gift. Anyway, enough with the sap, thanks for wandering to my small piece of the internet to see why I fell in love with my best friend!